This past month, Early Head Start celebrated Father’s Day with a special socialization event dedicated to “Celebrating Our Fathers.” Each member of the family definitely plays an important part in every child’s early experiences, and fathers play a pivotal role indeed. Scholars now know that boys and girls who grow up with an involved father, in addition to an involved mother, have stronger cognitive and motor skills, enjoy elevated levels of physical and mental health, become better problem-solvers, and are more confident, curious, and empathic. They also show greater moral sensitivity and self-control. In spite of the many research studies that have shown how engaged fathers have positive effects on children’s well-being and brain development, fathers report receiving limited support from social services and early childhood programs. Early Head Start is proud to serve (and lucky to have) several awesome and engaged fathers who participate in home visits, join us for socializations, and are just all around wonderful and engaged parents, helping their children to learn and grow. 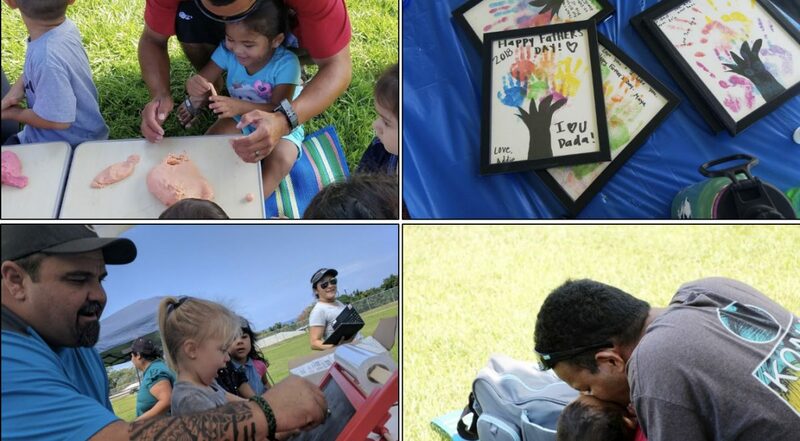 We had a great time at our “Celebrating Our Fathers” social, with great food, fun games and prizes, and even an arts and crafts session to provide children the opportunity to create a gift for Dad! We hope all the dads out there had a great Father’s Day!